A. Jaffe's timeless and elegant diamond ring is set with three sparkling diamonds for a full carat of diamond radiance, 1.00tdw. Featuring a round center diamond, .50 CT and two round side diamonds at .50 CT TW, this A. Jaffe beauty truly dazzles! 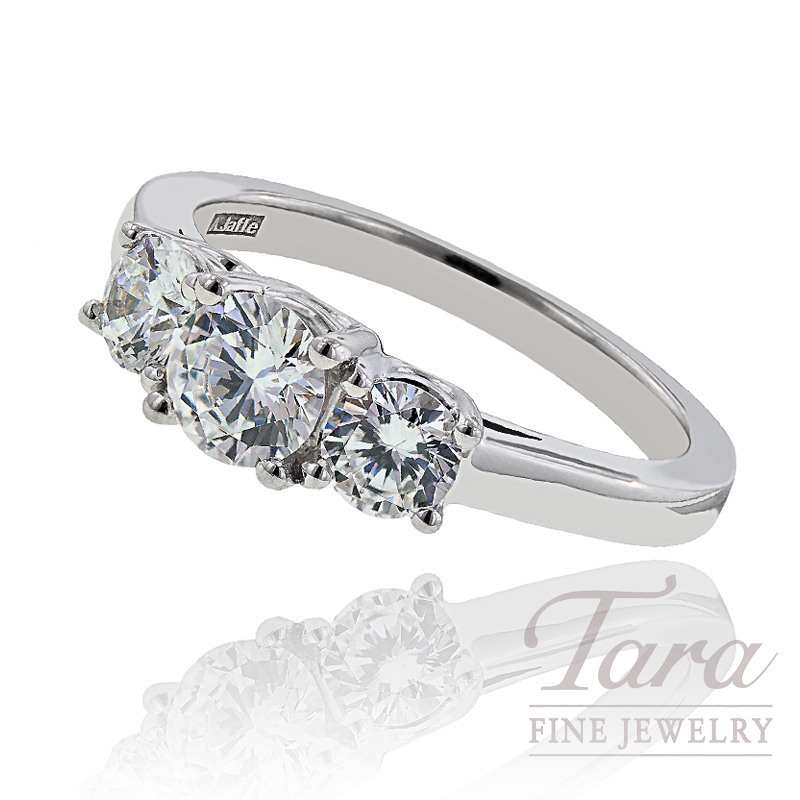 This ring is available to you in your preference of 14K or 18K white or yellow gold, or in platinum. Just click on the reserve button to receive details on current pricing and availability. The A. Jaffe Collection, along with top designers from across the globe, is featured at Tara Fine Jewelry Company, Atlanta's premier full service jeweler. Home to gorgeous designer jewelry as well as luxury Swiss watches by Rolex, Omega, Tag Heuer and Breitling, Tara Fine Jewelry Company is your choice for the finest in quality, service and selection.